Knowledge therapy for lower back pain provides the chance for a real cure without drugs, injections, surgery or exercise. How does knowledge therapy work exactly and more importantly, what exactly is it? These are the most common questions asked by patients who are newly exposed to this proven medical therapy method that has been used since the 1970s to cure lower back pain and a host of other chronic health issues at The Rusk Institute of Rehabilitation Medicine in New York, New York. Knowledge therapy is a very exciting topic and justifiably so. Here are some fast facts about knowledge therapy to pique your interest: It is risk-free and actually provides overall health benefits for all participants. It is a true medical therapy, based on solid and proven research science, yet does not involve any physical care. It has been widely heralded in the media as a virtual miracle, although we hate to call it that… Best of all, it is basically free! Interested? This report details the preferred treatment path for many chronic pain sufferers: knowledge therapy. We will examine its strengths and weaknesses in this objective analysis of the treatment. We will also look at why the therapy might fail and simultaneously provide insight as to why it most often succeeds. What is Knowledge Therapy for Lower Back Pain? Knowledge therapy is a term first used by Dr. John E. Sarno at The Rusk Institute of Rehabilitation Medicine in Manhattan, New York. Dr. Sarno had devised the therapy as a means of helping his countless patients who were suffering with lower back pain and other chronic health problems. Sarno was a real student of pain and soon realized just how infrequently a physical cause for the suffering truly existed. Instead, he implicated what he could find in virtually every patient: a history of mindbody health issues and certain personality traits that seemed to dispose them towards suffering. Dr. Sarno casually called the treatment knowledge therapy because it involved teaching his patients all that he knew about why they had pain and the reasons why most of the things they had been told previously about back pain were baseless and incorrect. Through continual evolution over decades, Dr. John Sarno created a highly effective and risk-free cure that worked for the vast majority of his patients. Dr. Sarno has written several books that are used in the program and many other doctors and former patients have contributed, as well. I wrote my first book on the topic over 12 years ago and am thrilled that so many of you have credited it with helping you to overcome many years of chronic lower back pain permanently. Knowledge therapy is basically free of financial cost. Some of the best sources of information can be found online or in your local library. If you decide to purchase your own reference materials in the form of every book on the subject, you are not likely to spend more than a few dollars. This fact stands in sharp contrast to ridiculously expensive and dangerous medical care, such as drugs, injections and spinal operations. Next, knowledge therapy is a great educational tool and a huge leap forward for most patients in terms of proactivity. The lessons taught are not only applicable to specific pain conditions, but also beneficial to general health and wellness for life. People who have used knowledge therapy fare much better in the healthcare system than those who are clueless about the treatment. Better yet, patients learn to dispel the fear and misinformation that is a prime source of worry, anxiety and pain itself. The very best reward of knowledge therapy is that when applied correctly, the treatment can end pain forever. Most of Dr. Sarno’s patients cite complete amelioration of their suffering after successful completion of a knowledge therapy program. I find the cure rate to be a bit lower than Sarno, but this is mostly because the doctor carefully screens patients, while people who use the program outside of his supervision are not always ideal fits. Knowledge therapy is not the best treatment path for every patient, although there are no risks in trying. Some patients have structural issues that are truly pathological and might require medical intervention, such as lumbar spinal surgery. 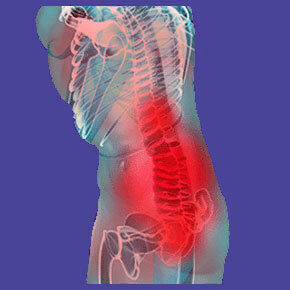 However, these cases are rare and represent the gross minority of people who suffer from chronic low back pain. This is a proven fact. Knowledge therapy can not resolve structurally-motivated back pain. The program will not resolve disc or bone pathologies. However, since the majority of these conditions are mistakenly diagnosed, this is not a major limitation. After all, if someone has a true pathological anatomical problem in their spine, then indicated treatment should resolve it within the traditional medical system and these patients will not have to seek out an alternative path, such as knowledge therapy. However, for patients who are unresponsive to traditional drug, injection and surgical care, the most logical and common explanation is misdiagnosis, making knowledge therapy a perfect solution. Finally, some scam treatment programs are easily confused with knowledge therapy. Many garbage programs are sold in book or online form and consist of the same tired lies that patients have suffered under years already. Make sure to investigate the nature of any program before purchasing and verify that the source of information is credible, rather than a quick money-maker for some opportunistic criminal. The Cure Back Pain Network has been a strong advocate for knowledge therapy and is proud to offer the best sources on our various sites. Our own proprietary Cure Back Pain Forever Program is the most comprehensive knowledge therapy program available. Best of all, it is available to help you right now, since all the components are online 24 hours a day.